Another 072 vessel, Tianmushan '916' was commissioned into the East sea fleet, on January 12th, 2016.
defenceman, GreenestGDP, duskylim and 5 others like this. Good find a 072B the 3th after # 981, 982 very few modifications with 072A seems nothing for size. Scratch, Jeff Head and steve_rolfe like this. Normaly with the 2 ohers 981 and 982. 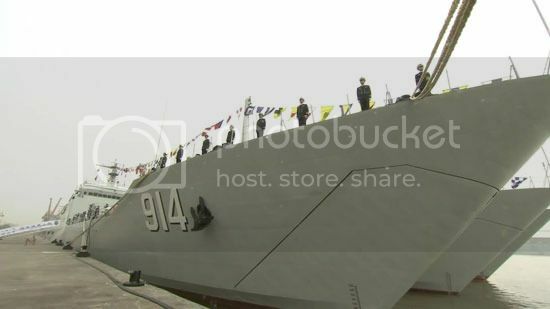 As 072B type of performance and appearance was further optimized, fully enclosed hull superstructure, intermediate enclosed mast, boat floor through-type passage bow and aft deck, aft section has a large flight deck for medium helicopters landing. mr.bean and newguy02 like this. 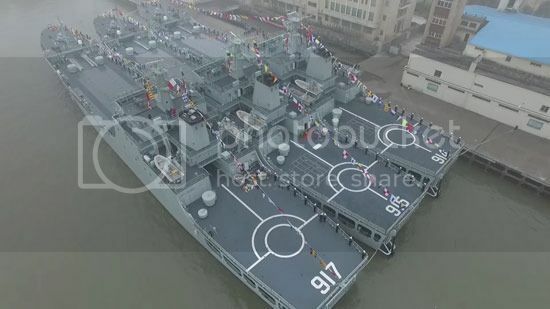 ...that give us a rare look at the Type 072s as we have not seen them before here on this forum. There are now a total of 30 of these vessels in the PLAN inventory, with 2 or 3 more building. Tyloe, defenceman, duskylim and 2 others like this. bruceb1959, duskylim and newguy02 like this. bruceb1959, defenceman, bluewater2012 and 3 others like this. 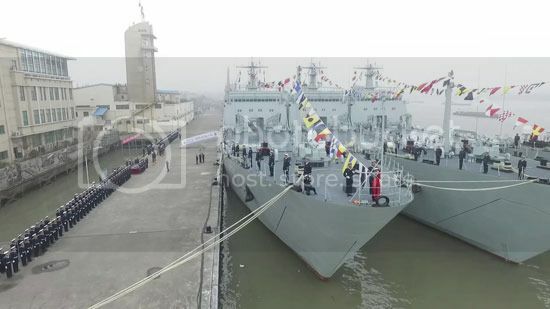 I could be mistaken but that vessel is flying the PLA (not PLAN) flag. Hmm.... Army ship? 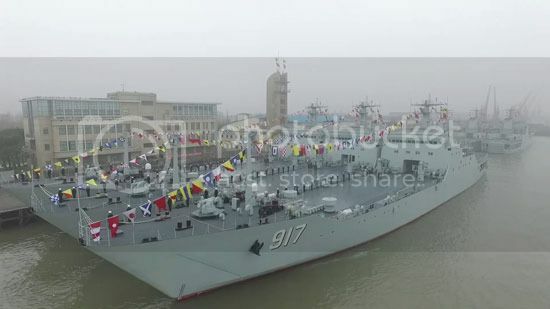 Two new 072B # 914, 915 to Hong-Kong no date for commissioning possible in sea trials but commissioned soon. With the 7 x 072A build only difference seems a double 37 mm replaced by a 30 mm. bluewater2012, newguy02, steve_rolfe and 5 others like this. bruceb1959, bluewater2012, Jeff Head and 2 others like this.